Gulp - ouch! You just took a sip of your favorite drink and are now experiencing a sharp pain through your teeth. Does this scenario sound familiar? Maybe it's your favorite hot or cold dish that's setting off these pains. 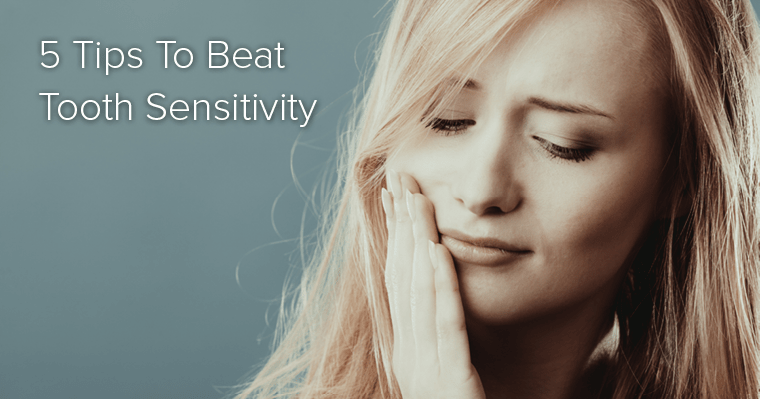 Either way, you may have sensitive teeth.Several factors could trigger tooth sensitivity pain, including receding gums, teeth whitening, tooth decay, or genetics. However, there are ways to relieve your pain. In this blog, we'll share 5 ways to get rid of tooth sensitivity. There are plenty of brands, such as Colgate, Crest, Arm & Hammer, and Sensodyne, that offer toothpastes designed to help people with sensitive teeth. Look for the ingredient potassium nitrate, which helps combat tooth sensitivity and stop the pain. Combine your toothpaste with a mouth rinse with stannous fluoride to desensitize your teeth better. The way you brush and the type of toothbrush you use can aggravate your teeth sensitivity, so it's crucial you take a hard look at your brushing habits. Be sure you're using a soft-bristled toothbrush while gently brushing your teeth. Aggressive brushing with hard bristles will contribute to receding gums, exposing your sensitive teeth and wearing away enamel, increasing your teeth's sensitivity. The Mayo Clinic reports acidic foods and drinks, such as coffee and citrus fruits, can dissolve your enamel, thus creating tooth sensitivity. 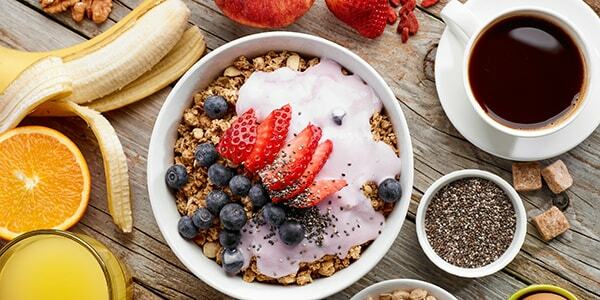 Try to avoid those acidic foods altogether, but we understand it's hard to give up your cup of morning joe. Instead, try to limit your exposure to these foods and drink acidic beverages through a straw to limit contact with the liquid. Also, drink a glass of milk after consuming these foods to help neutralize the acid. Do you grind your teeth at night? This type of trauma can wear away your tooth enamel, making your teeth feel sensitive and sore. At our dental practice, we make customized mouth guards, which are molded to your smile, cushioning and protecting your teeth from the nightly grind.Not sure if you grind your teeth at night? Symptoms such as constant, severe headaches and unexplained jaw pain are good clues to look out for. Contact your dentist to determine if a mouthguard is the best option to get rid of your tooth sensitivity. In the end, your dentist can help you. Be sure to visit every six months to ensure your dental experts can develop a customized treatment plan to get rid of your teeth sensitivity.Are there any at-home remedies you've tried to limit your teeth sensitivity pain? Share your findings with the community by commenting below.